Vanessa Miriam Carlow studied architecture and urban design at Berlin and Delft University of Technology. She graduated as Diploma Architect from Berlin University of Technology in 2002. In 2001 and 2003, Vanessa worked for MVRDV and KCAP (Kees Christiaanse Architects and Partners), both Rotterdam. In 2004, Vanessa graduated as MA Urban Management in the joined international course from Erasmus University Rotterdam, Copenhagen University, Ca’ Foscari Venice, Antwerp University, and Autonomous University Barcelona. Since 2006, Vanessa is a Phd fellow at the Architect School of the Royal Danish Academy of Fine Arts Copenhagen. In 2005, Vanessa founded COBE (www.cobe.dk) together with Dan Stubbergaard. COBE is an internationally operating office practicing architecture, urbanism, and research. The name COBE stands for the two cities, Dan and Vanessa are coming from: Copenhagen and Berlin. While COBE started in Copenhagen, a Berlin office was recently established. Recently completed COBE-projects include Taastrup Theater (shortlisted World Architecture Award 2010) and the Culture House and Library Nordvest, Copenhagen (in 2011 awarded “Good and Beautiful Buildings of the City of Copenhagen 2011” medal). COBE-designed masterplans and buildings currently under construction are among others: the conversion for the Northern Harbour Copenhagen (shortlisted World Architecture Award 2009), the reconstruction of Norreport Station Copenhagen, the Danish Pavilion at the Expo 2012 in Yeosu, Korea, the Maritime Museum Porsgrunn Norway, and the development plan for the extension of Copenhagen University. COBE consults the City of Berlin about hosting a third "International Building Exhibition" (IBA) in Berlin. Just recently COBE won the competition for the Roskilde Rock Museum together with MVRDV. COBE has marked itself as innovative and price winning practice. In 2006, Dan and Vanessa received the Golden Lion of the 10th Architectural Biennale Venice for “Magic Mountains” as part of the Danish Pavilion. Since, Dan and Vanessa have received several awards for their contributions to architecture, urbanism and research, and also participated in the Venice Biennale 2008 and 2010. With her work in academic life and practice, Vanessa wants to contribute to building decent, equitable, beautiful and sustainable cities! Vanessa's continuous involvements and collaboration with universities, research institutes and academies around the world, allows to constantly build and reflect upon the current state of knowledge concerning, cities, architecture and society. 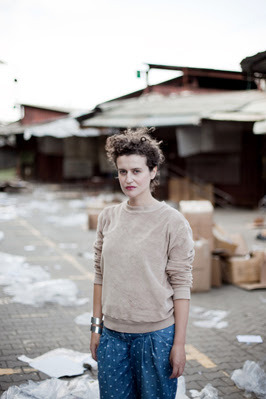 Vanessa has been member of the Danish jury for Europan 2009. She was assistant professor at Berlin University of Technology, Chair of Urban Design and Sustainable Architecture from 2009 until 2011. 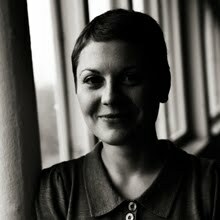 Currently, Vanessa is a visiting professor at the newly found RISEBA School of Architecture and Design in Riga. Furthermore, Vanessa has lectured or been a guest critic at several universities around the world including the Royal Danish Academy of Fine Arts Copenhagen, Columbia University New York, Cornell University, Tsingua Beijing, Tongji Shanghai, University of Arts Berlin, Academy for Architecture Rotterdam, and Munich University of Technology. Centrala does not have a constant number of members, neither any order of operation to be routinely followed - it is not a company. More appropriately it should be called a platform where individual quests converge around common goals. It is rather a collective of as many people as a task ahead of them requires. Architects: Małgorzata Kuciewicz, Krzysztof Banaszewski and Jakub Szczęsny constitute Centrala's core. In 2010 office core has gained new member - Simone De Iacobis. They co-operated as students of Warsaw Technical University on school Project and have been working together on projects for architectural contests, of which majority they won or were awarded prizes. Centrala undertakes actions in many scales ranging from graphics, every-day use objects to furniture, urban objects, interiors, houses, office buildings as well as districts or aglomerations. Apart from participating in contests and workshops Centrala also takes liberty of commenting upon the current state of affairs in Warsaw by means of a series of "decoy projects" published in press. in Warsaw, revitalization of the lower pavilion of Warsaw's emblematic train station, OHEL - temporary pavilion for upcoming (almost complete now) Museum of the history of Polish Jews in Warsaw and much more. Aleksandra Wasilkowska - architect. Master degree at WAPW and EAB in France. She runs her office since 2007. In 2010 she was representing Poland at the Venice Biennale of Architecture with the Emergency Exit project (in cooperation with Agnieszka Kurant). She deals with the complexity and self-organization in the context of urban space, performative architecture, designing houses and installations in public spaces. She also gives lectures and conducts workshops. Aleksandra Wasilkowska is co-author of the book "Warsaw as an emergent structure" (with Prof. Andrzej Nowak) issued by the Bęc Zmiana Foundation. She made many exhibitions and installations (for ex. in London, Paris, Venice, Tbilisi). of polish students exchange during Master in Advaced Architecure Program. Gliwice. OSSA president in 2005-2007. Initiator and organizer of the 'Plenart' workshops. Barcelona. Winner of many competitions. Expert in numerous programs for parametric modeling and simulation. The Group operates since 2006, dealing with the broader activities of design and everything that is connected with it. In the area of our operations are architecture, interior design, and industrial design. Besides popularizing and publishing activities we work with kids during our design workshops for children, we try to be active in the discussion on the state of Polish public space and architecture. The core group is made of young architects, graduates of the department of Architecture Warsaw University of Technology: Agata Filipek, (M. Sc. Architect, 2006), Charles Szparkowski (architect M.Sc. 2006), Kamil Miklaszewski (MSc. Architect, 2004). Prof. Zygmunt Szparkowski arch. is a regular contributor to the team. 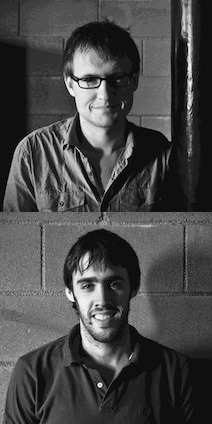 Jacek Markusiewicz and Ander Gortazar Balerdi are architects, graduated from Architecture at Warsaw University of Technology and the University of the Basque Country respectively. They met in IaaC, Barcelona, where they did the Master in Advanced Architecture. Ever since, they have been working together on different projects combining parametric approach and urban scale, and they are currently working in BAD, an international office based in Beirut and Barcelona. They remain in close relation to academia, giving classes in Warsaw University and IaaC, and studying Urban Planning in UPC, Barcelona. Dr Nimish Biloria is an Architect and an Assistant Professor at Hyperbody, Faculty of Architecture, TU Delft, The Netherlands and the Director of his own design firm: Design Genesis. 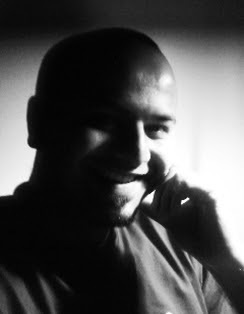 After being involved with investigating the inter-relation of Media and Architecture throughout his formative educational years at CEPT, Ahmadabad, India, he furthered his interests in the inter-disciplinary realm at the Architectural Association, London, UK, where he did his Masters in the field of Emergent Technologies and Design. He further attained a Doctorate/PhD at the TU Delft, Netherlands, with a focus on developing real time adaptive environments. He continues experimenting with the idea of formulating intelligence aided relational networks for the generation of performative morphologies. Jia-Rey Chang was born in Taiwan. After he got his M.Arch degree in Architecture and Urban Design Department, UCLA, under the direction of Neil Denari in 2009, he came back to his Alma mater, architecture department in TamKang University, Taiwan, doing research on interactive and parametric architecture. In 2010, he established "P&A LAB"(Programming AND Architecture LAB) exploring the new relationship between programming and architecture. 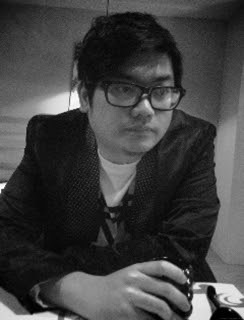 As the director of P&A LAB (http://pandalabccc.blogspot.com), he also worked in the Architecture Department of National Taipei University of Technology as a part-time lecturer. In 2011, He joined in Hyperbody LAB to further develop his preliminary study on "SuperCell", which is a smart geometry system by assembling smart architectural components with intelligence, kinetic energy, efficiency, and capabilities of self-construction and self-reaction from the computer interface, digital fabrication to the architectural construction. Andreas Angelidakis is an architect who investigates the idea of mountains, clouds and websites as much as buildings and trees and people's behaviours. He maintains an experimental practice in Athens, Greece, a studio involved in building, designing and speculating the contemporary ecosystem of screens and landscapes. He usually operates at the intersection of systems: Art and Architecture, Virtual and Real, Building and Nature, Ruin and Construction. The medium Angelidakis uses is habitation, of buildings, clouds, spaces, furniture, videos, online communities or exhibition spaces (Athens Biennial, MUSAC, Fargfabriken), while writing, blogging and teaching. 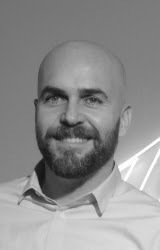 Architect, Bachelor of Architecture Sci-ARC, ΗΠΑ (1992), Who's Who in American Universities, Award for Outstanding Merit, Top Undergraduate Thesis Award Sci-ARC. MSAAD Columbia University, New York (1995). Lucille Smyser Lowenfish Memorial Prize, Columbia University. Has lectured widely in Greece and abroad. Maintains an experimental practice, often based in Athens. His work has been the subject of or included in exhibitions at the Centre d’art contemporain – Grenoble, MU Foundation - Eindhoven, Fargfabriken - Stockholm, National Museum of contemporary art - Athens, Venice Biennale 2000, Biennale Sao Paolo 2002, Experimenta Design Biennal Lisbon, Netherlands Architecture Institute. Publications include L’Arca, Purple, Interview, Arkitekten, New York Times, Visionaire, Citizen K, Contemporary, Arftforum, Metropolis M, Textfield and more. In 2008 Andreas Angelidakis was included in the series Design Documents by Damdi Architectural Publishing (Korea) with is first monograph entitled “Internet Suburbia”.